Lovely Christmas, Baptism or Christening Godparent gift from Godson or Goddaughter. 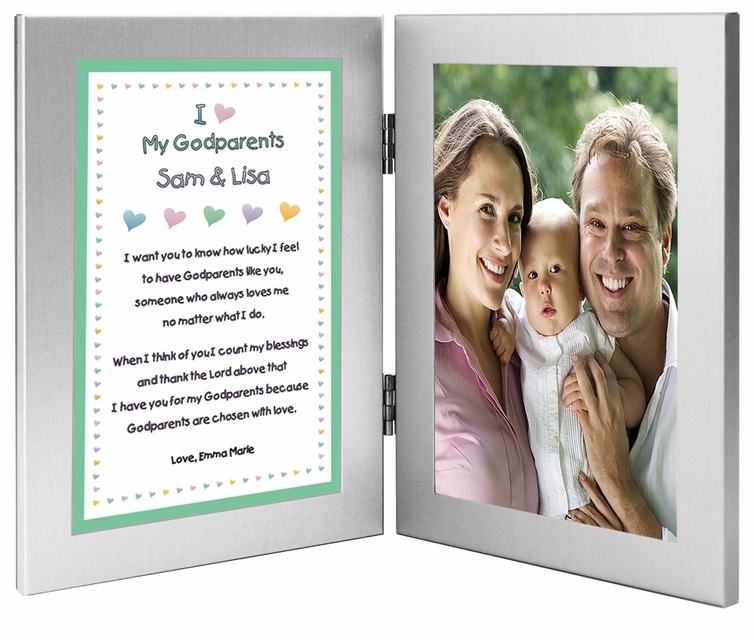 Your son or daughter can honor his or her Godmother and Godfather with this 4x6 inch double frame and cute personalized poem. We personalize the poem with Godparents' names and a closing message from the Godchild. When you insert a picture of the Godchild, or Godchild and Godparents it will become a lasting keepsake. Your son or daughter is being baptized or christened and you've chosen his or her Godparents with love and much thought. 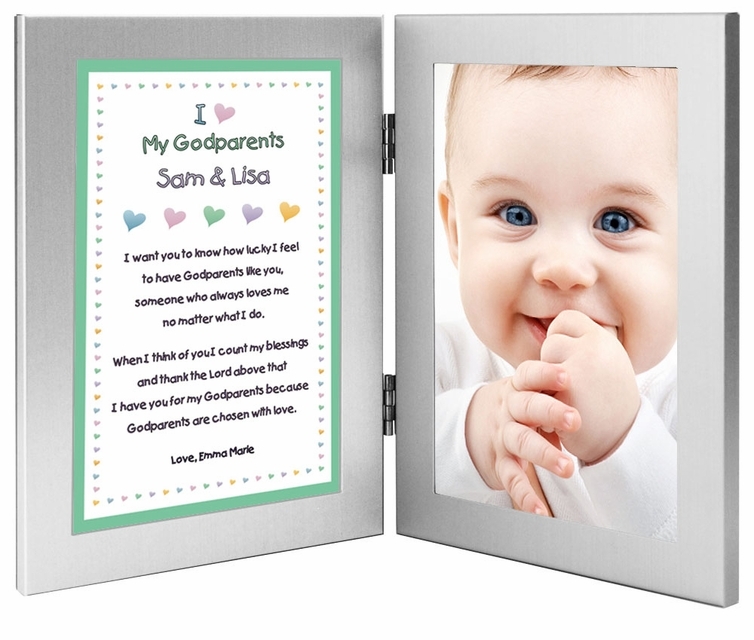 Are you thinking about a special Godparents "Thank You" gift to commemorate the important role they will play in their Godson's or Goddaughter's life? One gift idea that is pretty common is a picture frame with a photo of the Godparents with the Godchild. PoetryGifts.com has "kicked the old standby gift up a few notches" and offers a heartfelt poem that is personalized with names.